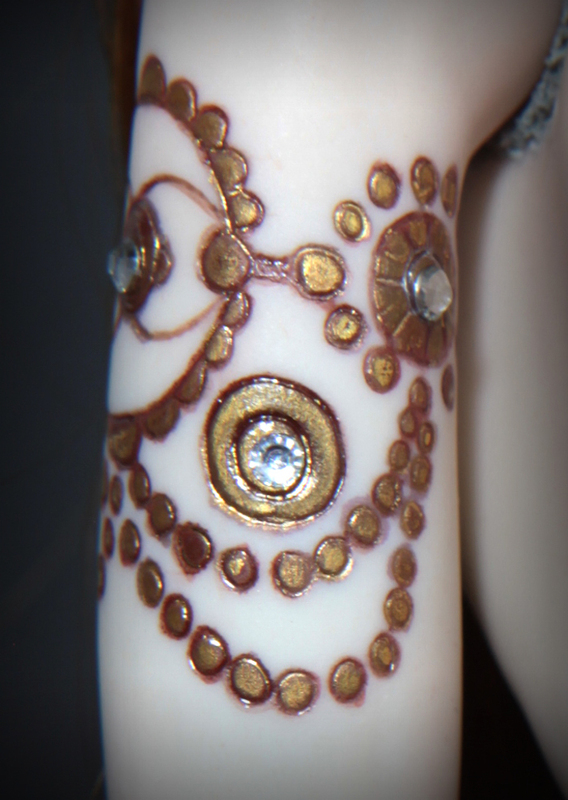 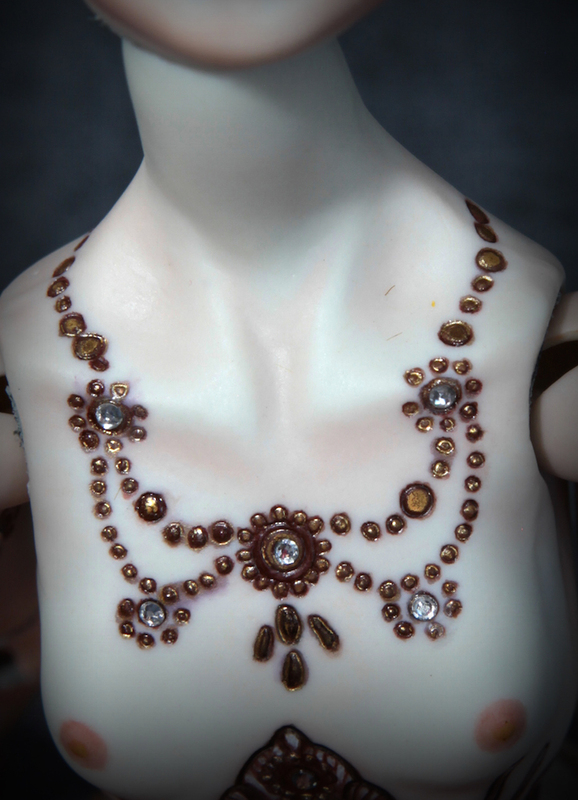 Kyrat has an intricate engraved and painted tattoo that has been accented with bronze and inlayed crystals. 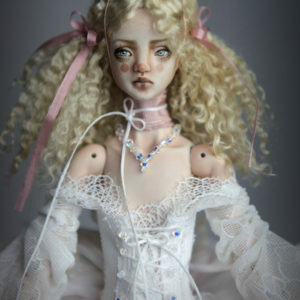 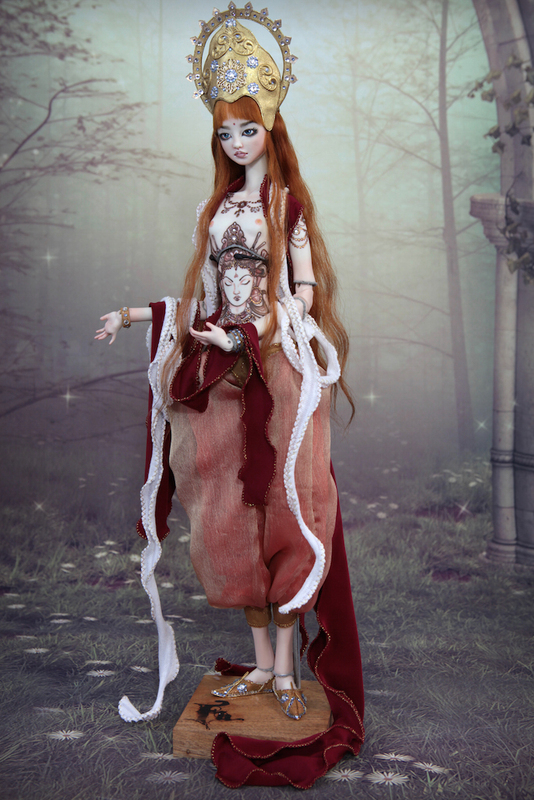 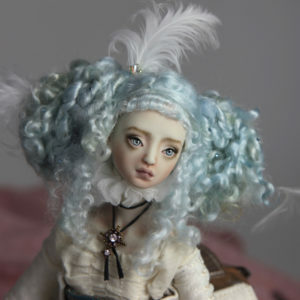 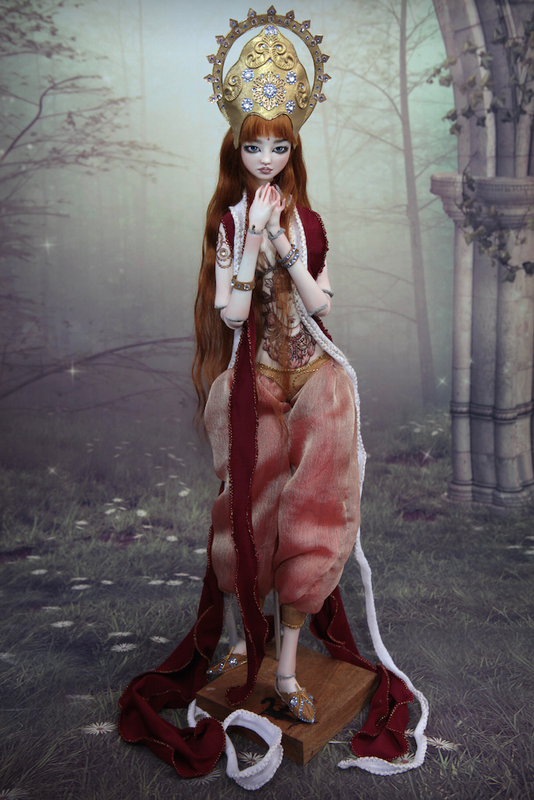 BJD Doll has a one of a kind premium soft removable mohair wig , hand made costume. 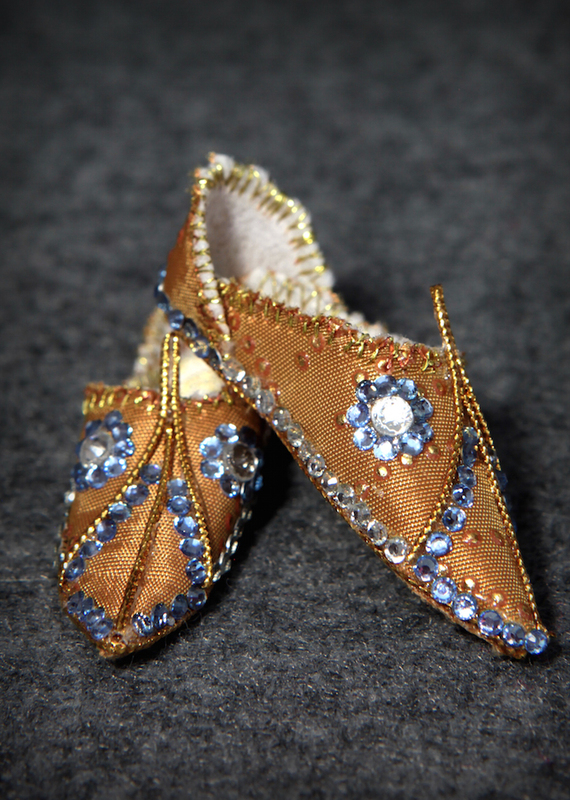 Crown, bracelets and shoes are also hand made adorned with sapphire and white crystals. 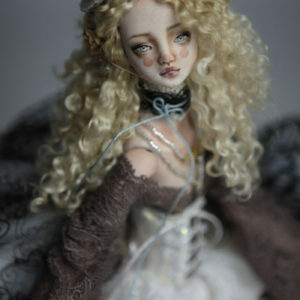 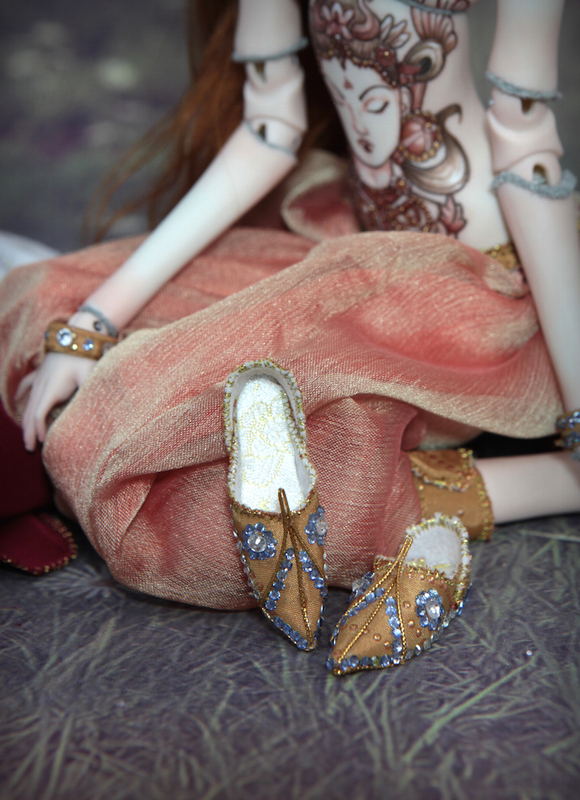 She as all of our dolls will arrive with a hand made engraved wood base. 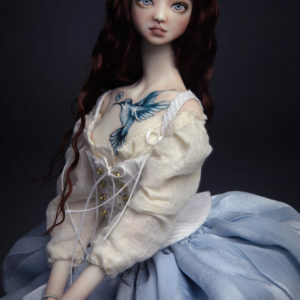 This is a sample picture of a 17″ doll so you can have an idea how her body looks. 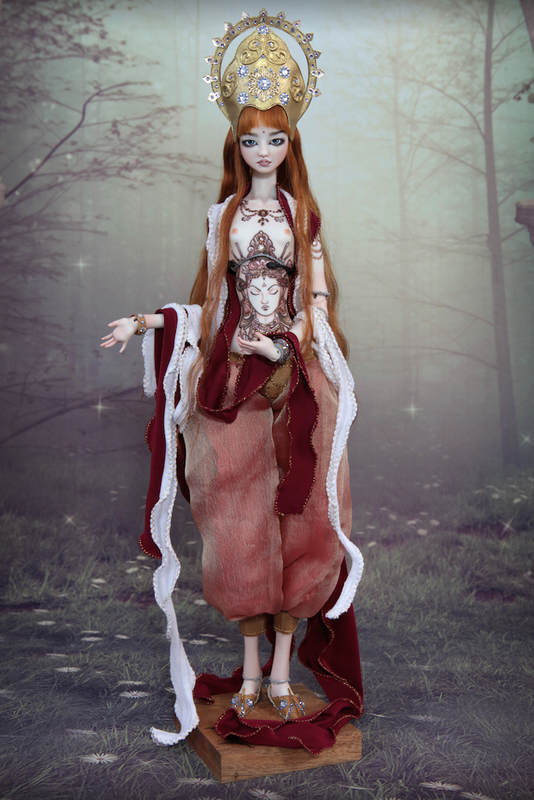 She features our new slimmer and younger body.